One of my friend asked me how to delete / remove one name from joint account. He was having the joint account with 2 more persons for a business partnership. The joint account was operated for about 10 years. Suddenly, one of his account partner had fallen into ill which can't be cured after several treatments. His partner life was in dangerous conditions. So he wanted to remove that deceased account holder from his joint account with the permission from that ill person. He wanted to do it immediately before death of that deceased person. I have gone with him to ask the bank manager to explain it in detail. The bank manager asked my friend to submit a request letter with the thumb impression and signature of the deceased person. He wrote the letter accordingly and the needful was done for him after getting the letter. 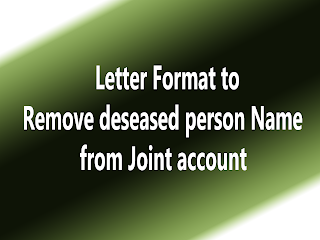 So if you are in similar situations of removing or deleting a person name from joint account, you may use the following letter format that my friend used. Here is the format. Read on! 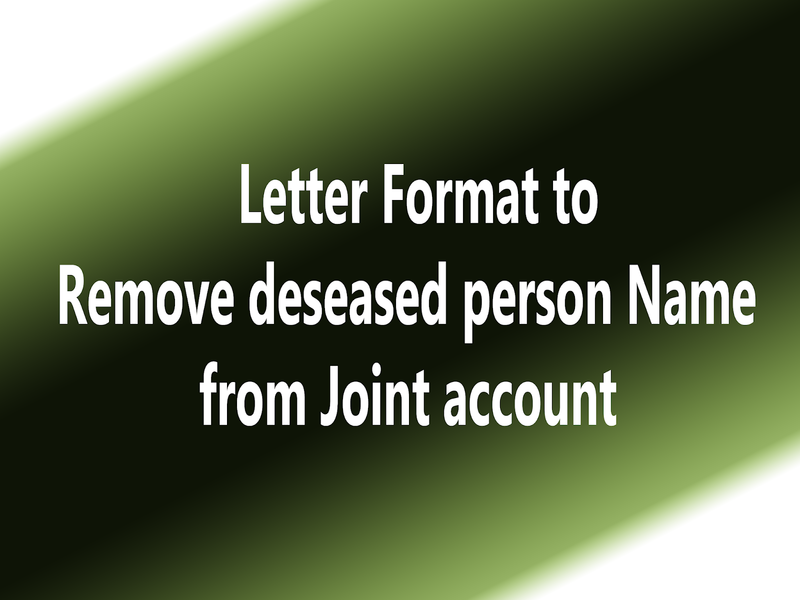 Subject: Application letter to delete a deceased person name from joint account. I am holding a joint account with two other persons named S.Arumugam and A.Linga Pandi. The joint account number is ______________________ [Write the full account number here]. Now the 2 account holder S.Arumugam is in kidney failure and his life is doubtful. With his due permission, we, other persons in this joint account, want to remove his name from this account and we 2 will be the joint account holders after removing S.Arumugam. We kindly request you to delete his name from this joint account and do the needful as early as possible. Thanking you!